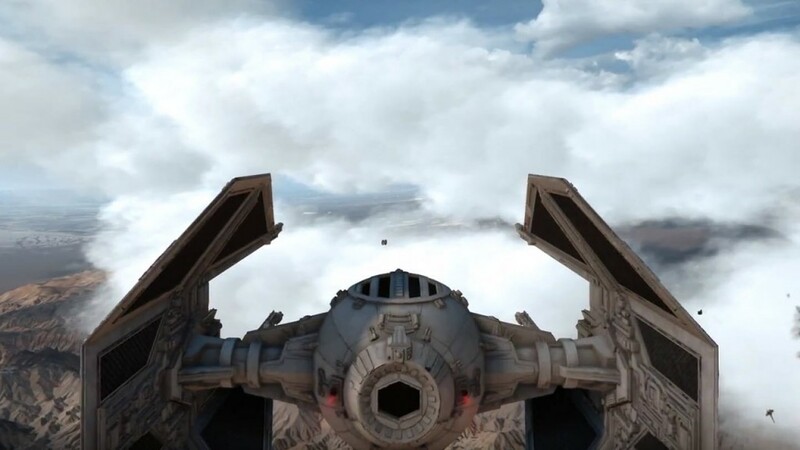 The Star Wars Battlefront TIE Interceptor is a more advanced version of the commonly known TIE Fighter that has similar firepower and maneuverability. Just like it’s TIE Fighter predecessor this Imperial vehicle also lacks a little in speed when comparing it the air vehicles of the Rebel Alliance. 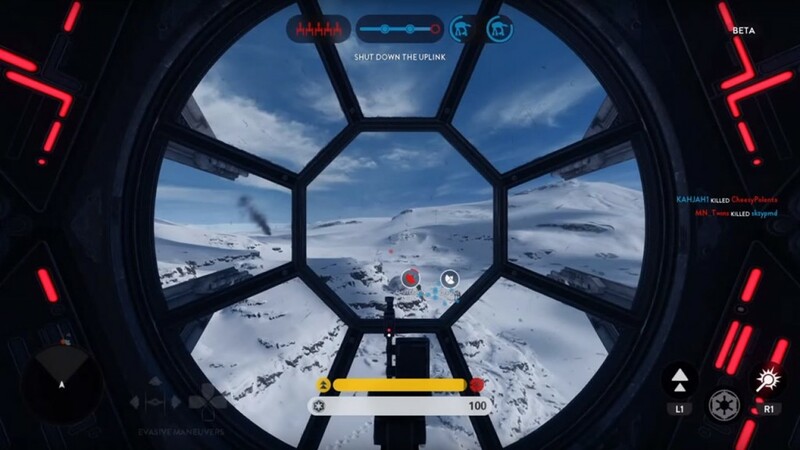 When flying in the TIE Interceptor you will be able to use speed boost that should help you to catch up to the the faster X-Wing’s and A-Wing’s that you will be chasing down. Their primary weapon is the Ion Cannon that will shoot a lockable torpedo that will hunt down the enemy ships that you focus on. You can find this Imperial vehicle as a pickup on Supremacy and Walker Assault, and you can choose to fly the TIE Interceptor in the Fighter Squadron game mode. When flying in the Interceptor be sure to use the speed boost to your advantage. That speed boost is more than just a way to get you into the action faster, it is there for you to evade danger and even to catch enemies. The Rebel Alliance vehicles are faster and you can really use the speed boost to help even the playing field. When engaging enemies speed boost can certainly help, but you can also get a lot of kills by simply slowing down. If you slow your vehicle down far enough you can almost just pivot around and start shooting and taking down enemies with some ease. This method can be combined with the speed boost to really increase your kill counts. This will give you some additional speed for the moment that will allow you to keep pace with quicker X-Wing and A-Wing Rebel vehicles. The Ion Cannon is the primary weapon for the TIE Interceptor that shoots a torpedo that will lock onto the enemy aircraft.